If you are looking for a Christmas printable to add to your Christmas decor this year, this set of three Christmas printables will look great framed on your wall. And because they are grey (which is such a popular color right now) you can have them printed in black and white which is super inexpensive. 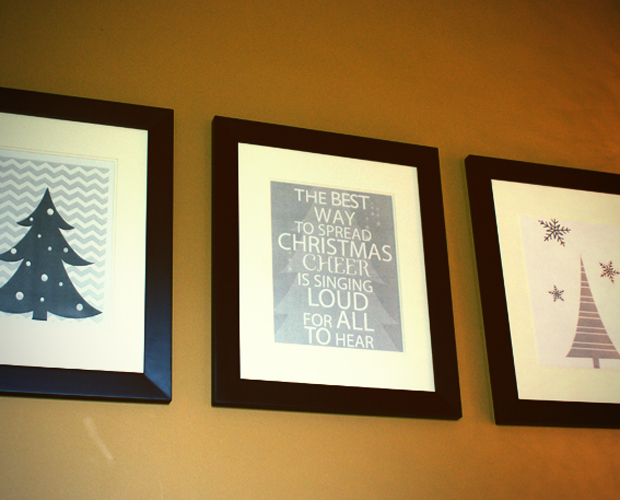 You can download this printable Christmas wall art over at Printable Decor. Woohooo! Thanks for helping promote my new site.